As I've mentioned in a previous post, the effect of KDP Select on boosting sales has been getting less and less as the months pass. Even those books still getting decent download numbers don't then go on to see the huge spike in sales that we were seeing at the start of the year. Apparently this has something to do with a change in algorithms or some kind of other technical thing that Amazon has in place (which I don't fully understand!). Because of this, I've made the decision to remove my books from the program at the start of next month. I've been in KDP Select since the moment it started, and I've definitely made some money and gained a great number of readers from the program, but I'm no longer in a place where it fits with my plans. Last month we made $2.48 for every borrow, which is great as long as your book is priced at $2.99 or less. Any more than that and the author earns less per borrow than per sale. This amount has gone up, which means there are fewer authors in the program and fewer borrows, so the pot is being divided between a smaller number. Don't get me wrong - I still think 'free' is a great promo opportunity and there are still authors (particularly those who are still trying to build up a reader base) who will benefit from KDP. However, I no longer think I'm one of them. I have several books out which are now permanently free, but the payoff of being exclusive to Amazon now simply isn't worth the five free days they offer. The freebies I have are across most sites (Barnes & Noble, Apple, Smashwords) and over the recent months I've watched my sales increase as a result of this. I regularly have readers contacting me, asking for my other books to be available on those sites as well, so I'm going to bail. As I mentioned, my opinion on 'free' as a promotional tool hasn't changed. 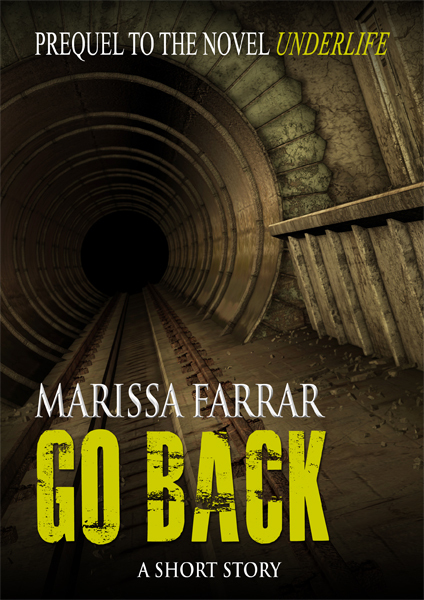 I plan to put a freebie out next month entitled 'Go Back' which will be a short story prequel to my novel 'Underlife' (due out in August). But unless Amazon comes up with something new and shiny to keep me interested, I'm afraid my love affair with KDP Select has come to an end. Sounds like a sensible decision based on what you've said. You're welcome Rebecca! I hope you enjoy it when it's out! You too, eh? I'm also opting out of KDP when my term is up (not until June 19th, unfortunately). Mine isn't until the start of June, so I'm not too far ahead of you. It's a shame so many authors are dropping from the program. I'm surprised Amazon hasn't pre-empted this and brought something else in, but perhaps Amazon is aware this will be happening and has something else in the wings we don't know about (either that or so many authors will drop out that they'll make huge money per loan.). Marissa, Your analysis is definitely accurate. I am of the opinion that KDP will remain a great program for releasing new material and drawing in new readers. But once the love affair wears thin, the author should bail and seek out other revenue streams until he or she writes another book. To sum up: Use KDP Select to promote one or two books if you have a long list of titles. If you only have one, get in, get out, capitalize on what it offers, and then write the next one. P.S. I thought you were going to add a book cover signiture for your blog posts? Let me know if you need help with that. Aw, Jeff, thank you. You picked me up on my technical failures! I will be approaching you tomorrow with my head in my hands!